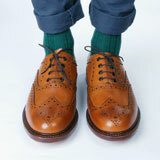 Oxford Socks is a new proud-to-be-British sock brand for fashion- as well as comfort-conscious men. It was started by Marcus Treacy and Harry Wheeler, two entrepreneurs who have a history of sourcing and are passionate about quality and style. 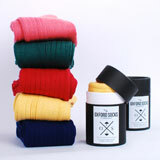 Their first range features 12 carefully selected block colours, all inspired by British culture. 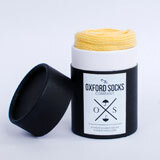 Every pair of socks is manufactured, hand-finished and embroidered in the UK using British yarn, with the Oxford Socks logo, an umbrella, on every pair - a nod to the infamous British weather. 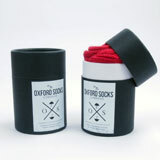 For more visit oxfordsocks.co.uk where you can also shop the socks online.